Hand stitch the story of your family, vacation, pet, garden or whatever captures your fancy by creating a photo fabric collage on linen. Students learn basic stitches by embroidering a needle case, and principles of collage design will be taught during a brief warm-up exercise. In this congenial environment, we'll share the stories that matter by slowly putting thread to cloth. 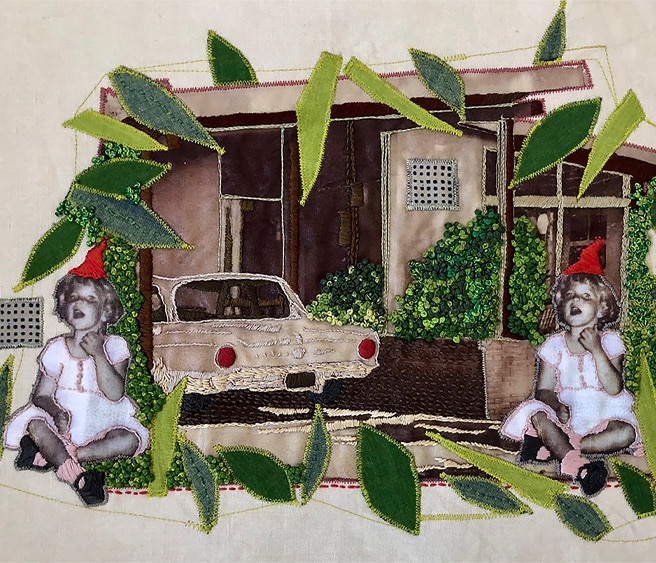 Maude May has been been stitching since age five and has taught both children and adults. Putting a needle and colorful thread through cloth is an age-old skill that she loves to share and feels that anyone can learn. She believes hand embroidery can be a meditative process in which, once simple stitches and techniques are learned, personal fulfillment and joy results.